Celebrating National Tree Week with Minister Michael Creed a past pupil of our School and Ted Cook. 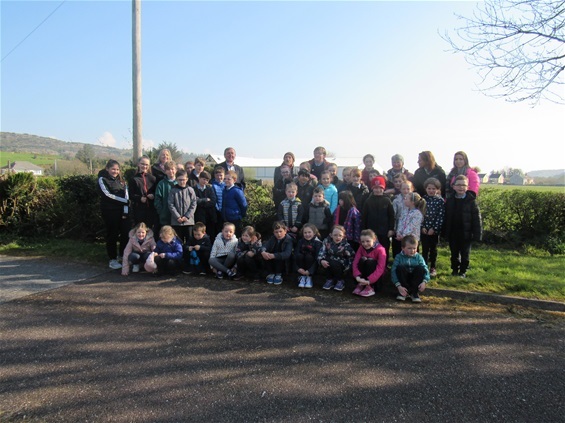 National Tree Week was celebrated in style on Friday April 5th with Ted Cook Heritage Specialist and Minister Michael Creed, past pupil. A number of native trees including Blackthorns were planted by the pupils in the garden of the parochial house. This project began in the early 1990's when Fr. Cahalane was PP. Each Parish Priest and School Principal have continued this fine traditon.